Peep peep! Thomas the tank engine is always polite and helpful. 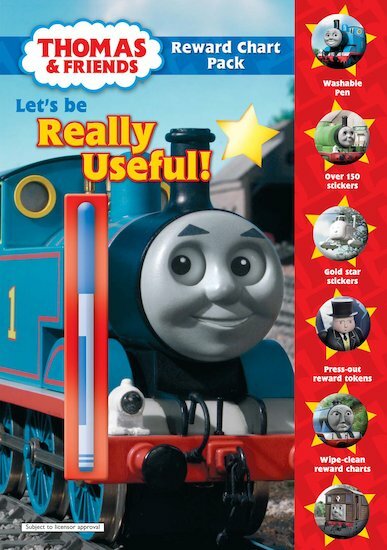 Can you learn to be Really Useful, just like him? Follow his good example, try to be good – and see how many rewards you can earn! Complete with a 24-page puzzle and activity book, this appealing reward chart wipes clean effortlessly, and includes reward tokens too! It’s perfect for improving behaviour, building motivation, and helping children to set constructive goals.